This book offers an accessible introduction to application-oriented multivariate methods of data analysis and procedures that are highly beneficial to solving a variety of problems by using analytical chemistry and statistics. It presents a diverse selection of topics that include experimental designs applied for the optimization of liquid chromatographic and capillary electrophoresis, variable selection in chemical data, calibration of the first order: data, algorithms, and analytical applications, characterization of polyphenols from natural products using separation techniques coupled with chemometrics, detection of malignant tumors using FT-IR spectroscopy combined with chemometrics, guidelines in synthesis of new anticancer compounds, direct analysis of solid samples by spectroscopy and chromatographic techniques, application of data fusion in different levels with examples, and analysis of pharmaceutical and food products by various analytical techniques. 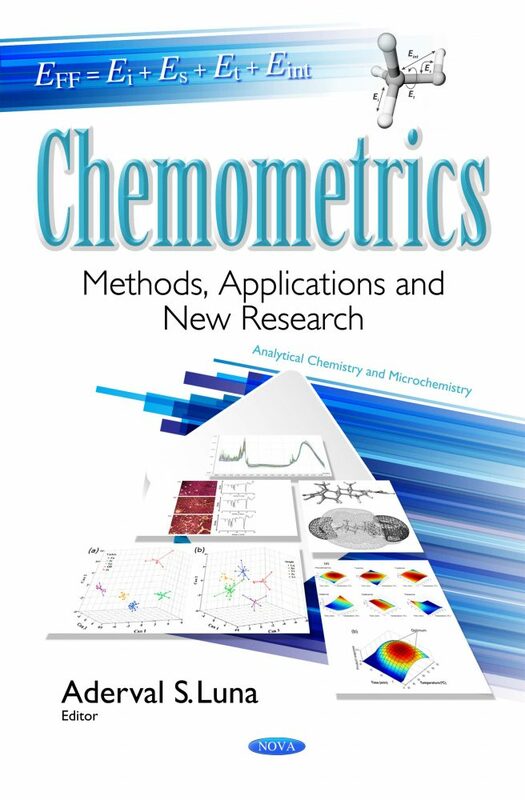 This book helps thereader embrace the growing role of chemometrics in some of the latest research trends, such as characterization of polyphenolic compounds in natural, pharmaceutical, and food products in analytical problems, such as classification and quantification using the multivariate calibration of the second order. This book also identifies several areas for future development and applications. The chapters are written by leading experts. Audience: Chemometrics: Methods, Applications, and New Research offer a reliable source of useful information in a style that is accessible to all levels of students, professionals, and researchers involved in analyzing scientific data.